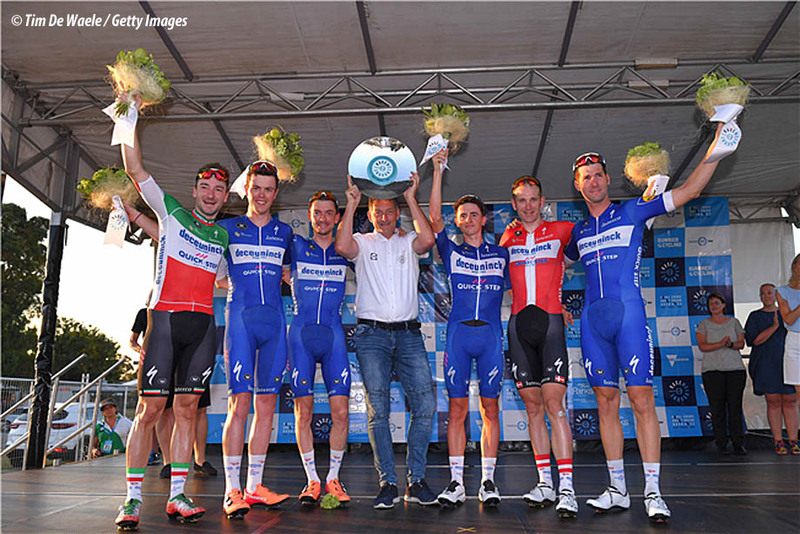 Elia Viviani looks to be taking Deceuninck - Quick-Step into another great season as he won his 70th career victory in the Cadel Evans Great Ocean Road Race - Report, result and video. Plus cyclo-cross World Cup in Hoogerheide, Towards Zero Race and the Vuelta a San Juan. Tramadol tests in Paris-Nice - Top Story. Lots of other cycling news this Monday: Darwin Atapuma looking forward, new coach for Nairo Quintana, Bahrain-Merida wage problem, new climbs for Kuurne-Brussels-Kuurne, Scott Sunderland race director, Giro di Sicilia in 2019, Adam Yates for the Tour, RCS Wild Cards, Nippo Vini Fantini Faizanè ride the Giro d'Italia and Strade Bianche and Astana rap! The UCI will start to check riders for the use of Tramadol at this year's Paris-Nice (10-17 March) and from then on. The UCI announced that the painkiller would no longer be allowed to be used in the peloton from 1 March. 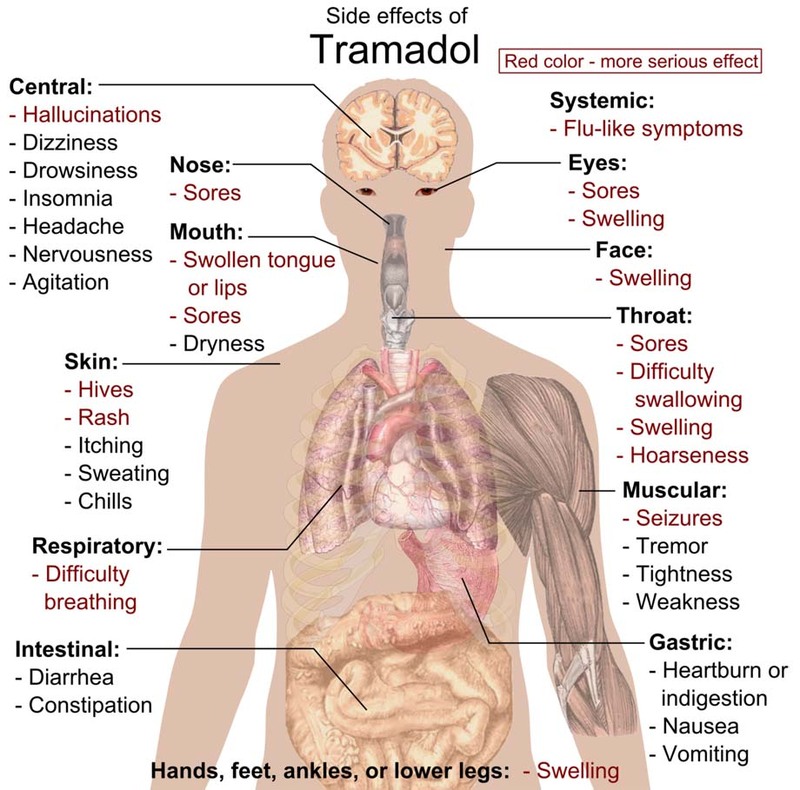 Tramadol is claimed to be dangerous for cyclists. Besides the fact that the painkiller causes a rider to race harder than maybe is safe, it can also cause nausea and a dizziness, which increases the risk of crashes. UCI President David Lappartient explained: "We take a drop of blood from a finger of a rider before or after a race." If a rider is found to have taken Tramadol, he/she will be fined 5000 Swiss Francs and lose the result of the race in which he tested positive. With a second positive test, he or she will receive a five-month suspension. The riders team can also be suspended from at least one month up to a maximum of one year with two positive riders. "Doping tests showed that no less than 4.4% of the cyclists used Tramadol. We therefore prohibit the painkiller from concern and safety," the UCI said in a press release. After finishing second in 2018, Elia Viviani took the victory in the 2019 Cadel Evans Great Ocean Road Race on Sunday - His 70th career win. The 29-year-old Deceuninck - Quick-Step rider sprinted across the finish line ahead of Caleb Ewan (Lotto Soudal) and Daryl Impey (Mitchelton-Scott) in Geelong. The break of the day saw Laurens De Vreese (Astana), Nathan Elliot and Carter Turnbull (both KordaMentha Real Estate-Australia) take a maximum lead of 4 minutes, but the Mitchelton-Scott team were in control and held the leaders at that distance. With over 60 kilometers to go; Turnbull was dropped leaving De Vreese and Elliot out front. The final city circuits had the climb of Challambra Crescent to be climbed four times and at the front De Vreese rode away from Elliot. Davide Ballerini crossed to his Astana teammate 25 kilometers out. The Italian didn't wait long and soon went solo. At one point his lead was 1 minute, but he was caught 10 kilometers out by a fast moving peloton which was ready for a sprint finish. Several riders tried to attack on the final lap: Diego Ulissi (UAE Team Emirates), Luis Leon Sánchez (Astana) and Richie Porte (Trek-Segafredo) all gave it a try but were caught. Dylan van Baarle (Sky) tried twice, but had no chance. The peloton had been thinned out by the finalè, but most of the fast-men were still there. Last year Viviani was surprised by Jay McCarthy, but this time the Deceuninck - Quick-Step team made sure no one escaped and gave the Italian a perfect lead-out. Ewan and Impey came in for second and third places. Winner, Elia Viviani (Deceuninck - Quick-Step): "There were two second places of last year that I wanted to improve in 2019, and this was one of them. We were really committed today, had a plan and followed it accordingly. I knew that some were interested in dropping me and pushed a hard tempo on the climbs, but we played it smart and each time came back thanks to the best team in the world, who worked tirelessly and gave me a perfect lead-out. I like this race a lot, I like the course because it gives a chance to every type of riders, so I was really keen on winning here. We were in four riders going into the final kilometers, which was very important. Also, having Michael by my side under the red kite gave me a lot of confidence, as he was crucial today. As I said, I wanted to rectify last year’s runner-up place and having achieved that gives me a lot of joy." 2nd, Caleb Ewan (Lotto Soudal): "It was very hectic every time we approached the climb as the fight for positions was fierce. But the boys did a great job today. The last two laps were really hard but when I got over the second last climb, I realized that I had a good chance of sprinting for the victory because a lot of sprinters had some teammates left to bring back possible attacks. It was pretty close in the end. I was in a good position leading up to the sprint. I have to thank my teammates for getting me there at the end. I got boxed in a little by Impey and by the time I could get around him, I realized, against a fast guy like Viviani, that it would be hard to still get the win. If I could have started earlier, I maybe could have won. I will now have a little break and then prepare for the UAE Tour." 3rd, Daryl Impey (Mitchelton-Scott): "We tried to make it as hard as we could, it looked like we were the only team really trying to make a smaller group there at the final, but look, I'm happy to finish third out of the guys that were there in the final. Obviously I would have liked to have won, but against Viviani and Caleb, they are really good sprinters, to get third was a good result. I think the head wind (up Challambra) really nullified all of the attacks. It was easier to be on the wheel, and having a guy like Viviani last year make the final, makes sprinters the next year think they can. If there were a lot more attacks we would have seen a better, more select group there at the finish. That being said, we had a good ride, the boys committed from the start, we weren't the red hot favorites to win today but we went for it and we had a good performance." 4th, Ryan Gibbons (Dimension Data): "The team did a great job to support me today, and during this entire Australian campaign in fact, so I’m just sorry I didn’t get more out of this finish for them. Maybe this 4th place result needs time to sink in and I will enjoy it a bit more later this evening, but I’m in this game to win races. There were a few things in the sprint that could’ve gone much smoother for myself. I guess that’s the good thing, if everything went smoothly and I was only 4th, well then so be it. But being around the podium placings and still knowing there is room for improvement, well it motivates me even more to get that big win now." 8th, Jay McCarthy (Bora-Hansgrohe): "The race was not as hard as last year and so there were several top sprinters in the finale. It was a bit stressful on the last lap because the group was larger than we had hoped for. As a result, it was not necessarily going to be easy to get a good result. We did our best and the guys worked together well today during the whole race." 10th, Luis León Sanchez (Astana): "We had only one chance – to try to do our own race, to do it really fast and hard. And we did our best for it. We were hoping for a big breakaway group, which could put the sprinters under the pressure, later with attack of Davide Ballerini we wanted to animate the race, but it did not work. Honestly, the race was not really hard, the pace was quite slow and almost all the sprinters remained in the main group. I did my best in sprint, but, of course, I could not do much. Anyway, we leave Australia in a good mood, we spent three great weeks here, we trained and raced really well, so we are coming to Europe in good form and ready for a new challenge." Break rider, Laurens De Vreese (Astana): "Before the start at the team’s meeting our director told us to do this race as hard as possible because Luis Leon Sanchez is in a good shape. So, I went in a break and did my best there. I had good legs and I am happy to win the king of mountain jersey. But, of course, it wasn’t the goal. I wanted to stay in front as long as possible and when Davide joined me, I just gave my all to help him and to do as bigger gap as possible. I think, that Astana Pro Team did a very good race, we can be proud with it, but, unfortunately, not many teams were interested to do this race really tough. For me this day was a good test of my form and I am happy with it. It is a nice start of the season." 10. Luis León Sanchez (Spa) Astana. Mathieu van der Poel (Corendon-Circus) successfully completed his dress rehearsal for the World Championships next weekend in Bogense, Denmark. The European champion left it later than normal and didn't make his winning move till just over a lap remaining. 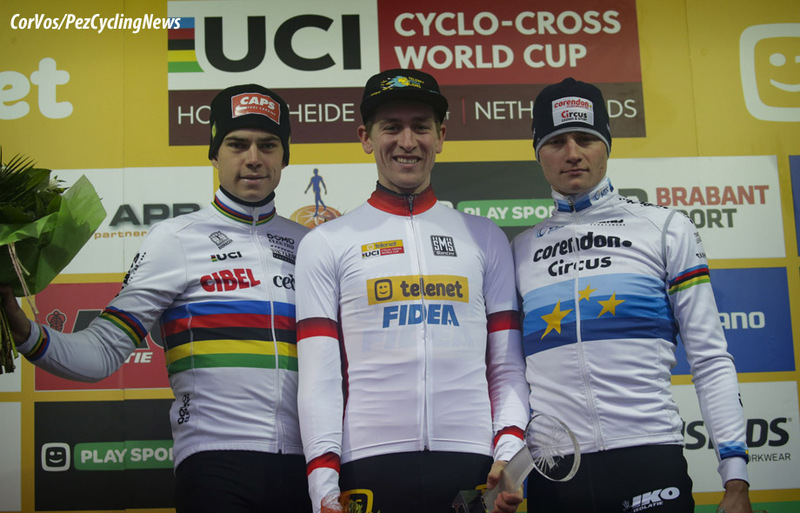 Belgian champion; Toon Aerts (Telenet Fidea Lions) was 2nd ahead of World champion Wout van Aert (Cibel-Cebon) and so took the overall victory in the World Cup. The final round of the UCI World Cup in Hoogerheide had a double battle; for the victory of the day and for the final overall in the World Cup competition. Wout van Aert only had 3 points over Belgian champion Toon Aerts, who ever finished first would take the overall prize. Aerts saw that Van Aert had a bad start and had to visit the pits area, he did not hesitate and put the pressure on with Mathieu van der Poel on his wheel. Van der Poel didn't seem to be able to take a turn on the front and so Aerts had to do the lead work. Eventually Van der Poel was dropped by Aerts and was passed by Wout van Aert. Van Aert trailed Aerts by 15 to 20 seconds with Van der Poel struggling behind him. Then just after the halfway point Van der Poel started to look like the champion he is and began to claw back Aerts. 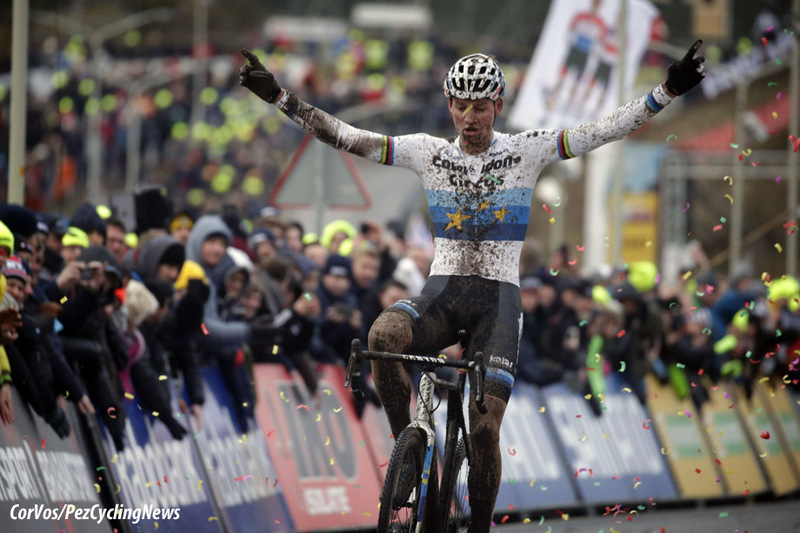 The European champion pulled back Van Aert back and crossed to the leader in no time. Aerts was surprised by the comeback by Van der Poel, but stuck to the job of holding off the World champion to take the World Cup. At the start of the final lap, Van der Poel kept the pressure on to take the home win as Aerts held off Van Aert for the World Cup overall. Winner, Mathieu van der Poel (Corendon-Circus): "On Thursday I came back from my training camp. We did a lot of endurance training. The first two laps today were therefore hard for me to find the cross pace. However, I felt that the legs were not bad. I did not panic and choose my own pace from that moment on. When I got the feeling that I could win the race, I got better and better. I think I can go there (World championships) with confidence. As I said, I had a tough training camp. The coming week will then also be a quiet week. And I hope that next weekend I have the best legs of the season." 2nd and World Cup winner, Toon Aerts (Telenet Fidea Lions): "I didn’t have a great start, but after an acceleration I got to the front and quickly had a gap. I couldn’t wait because there’s no benefit to be on one’s wheel here. I chose to go for an immediate attack but it was hard to stay ahead. This season is like a dream to me, I can hardly believe what I’m achieving. These are things that you dream about as a young rider: winning a title, winning the series. This wasn’t written in the stars when I was a junior rider. Now I’m pulling it off in my fourth year as a pro rider. For me, the World Cup means as much as the world championships because you’re the best of the whole season, like in motor cross. This means a lot to me. Next week, there’s a jersey at stake, so obviously that would be nice too." 10. Tom Meeusen (Bel) Corendon-Circus at 4:09. Held on the famous 5.3km-long F1 circuit of Albert Park, which the riders had to cover 14 times, Race Melbourne put on the table a new format this year, the overall winner being the team who accumulated the most points across the intermediate sprints, as well as the final sprint into the finish. To make things even more interesting, the organizers came up also with a sprint classification, to crown the highest point scoring individual rider at the end of the 74.2km race. 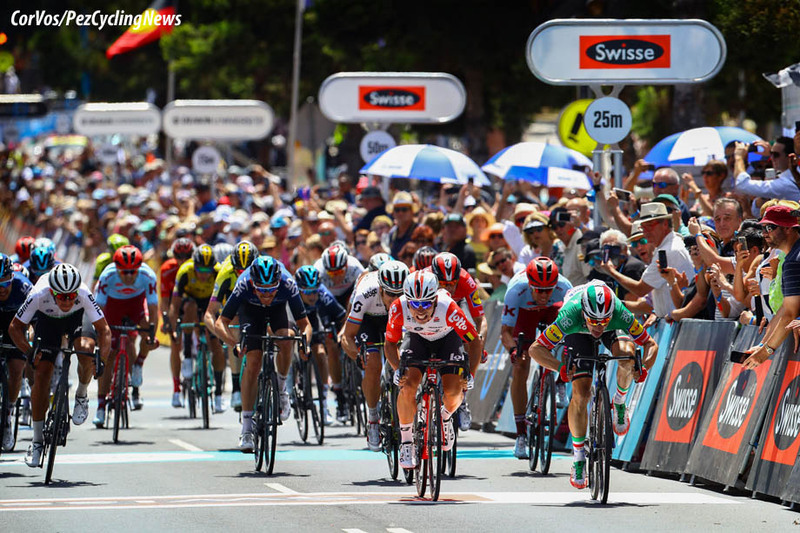 As soon as the race – which took place in baking hot conditions – got underway, several teams went on the attack, but Deceuninck – Quick-Step kept things together and moved into the hot seat after just a couple of laps. One by one, Elia Viviani, Michael Mørkøv, Dries Devenyns and Rémi Cavagna – the last two after countering some dangerous moves of their opponents – scored crucial points for the squad, helping the team open an unassailable lead, long before the race entered in its closing phase. Having built a massive haul of 95 points going into the last laps of Thursday’s event, Deceuninck – Quick-Step just played it smart and made sure of keeping an eye on those who jumped from the field. When a numerous group took off with only a few kilometers remaining, the Deceuninck riders didn’t panic, knowing both classifications were in the bag thanks to a strong collective effort, underlined also by the presence of three Deceuninck – Quick-Step riders in the individual standings top 10, where Elia Viviani took the spoils at the end of the day. Winners, Deceuninck - Quick-Step Sports Director Rik Van Slycke: "It was about 40 degrees Celsius today and hard racing on the limit. We treated it like the Hammer Series, in that every time we had to sprint, we did it with two or three riders to take the team classification points. The fight for the individual ranking was more intense, but Elia, helped by the guys, did a great job and secured the win in style. It was a big team effort today and a great example of the Wolfpack mentality. We now look with even more confidence to Sunday’s World Tour race." 3rd, Bora-Hansgrohe Sports Director Steffen Radochla: "This year, the race was designed differently. It was similar to the Hammer Series, in which points are given out at the intermediate sprints and the final sprint. Today we didn’t have the fastest sprinters in the team, and so third place in the team points competition is a good result. It is also a good sign for the race on Sunday." 10. Australian Cycling Team-Kordamentha 10pts. 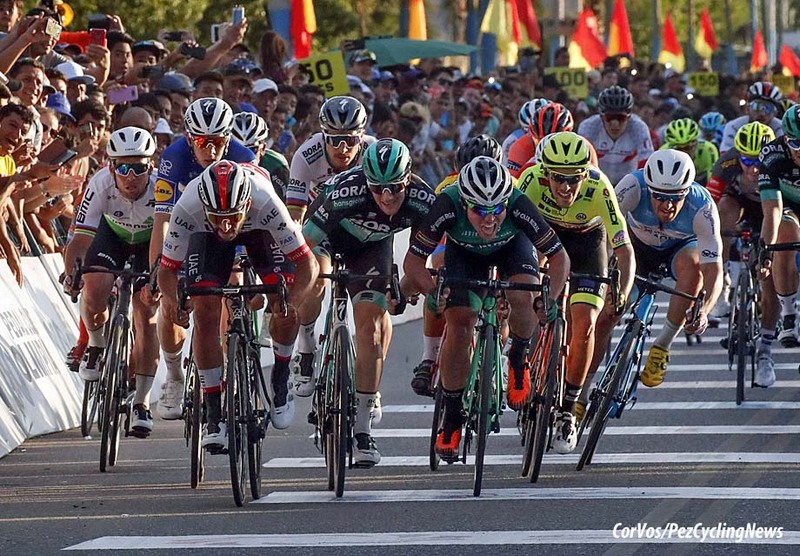 Fernando Gaviria opened his UAE Team Emirates chapter in the best way possible by winning the opening stage of the 2019 Vuelta a San Juan. After 159,1km from San Juan to Pocito, he sprinted (photo Bettini) ahead of Matteo Malucelli (Caja Rural-Seguros RGA) and Sam Bennett (Bora-Hansgrohe). The three hold the same top spots in the overall classification of the Argentine stage race, with Gaviria now in the leader’s jersey. Stage winner and overall leader, Fernando Gaviria (UAE Team Emirates): "I’m super happy when I win. Above all because I have changed teams and I was looking for a confirmation. The UAE Team Emirates is improving year after year and becoming the strongest in the world and I’m happy to be apart of this project. In my old team, I learned so much and now I’m bringing all of that knowledge with me in my new chapter. I want to thank my team because they worked so well even if we are young, we have so much talent. We prepared very well in the winter and in the last days here in San Juan before the race. In the sprint, I was very relaxed because knew that I could win." 2nd on the stage and overall, Matteo Malucelli (Caja Rural-Seguros RGA): "It was a very fast sprint with a final straight of six kilometers in which the Bora team was in charge of launching the sprint. I stayed behind them until I managed to get in after Gaviria. The whole team has helped me, they have sacrificed for me and I am very happy with the result. It was important to gain confidence with the team and now that we have stayed so close, in the coming days we will fight again for the victory." 3rd on the stage and overall, Sam Bennett (Bora-Hansgrohe): "The guys put in a very strong effort all day to control the race and make sure I was well-placed for the sprint finish. We reached the final stretch in the front but it was very difficult for me to stay on Peter's wheel as many sprinters thought he was going to contest the stage win. It was hard to get a clear line but I was able to cross 3rd in a very tight sprint." 10. Manuel Belletti (Ita) Androni Giacattoli-Sidermec. 10. Luca Pacioni (Ita) Neri-Sottoli-Selle Italia-KTM at 0:10. 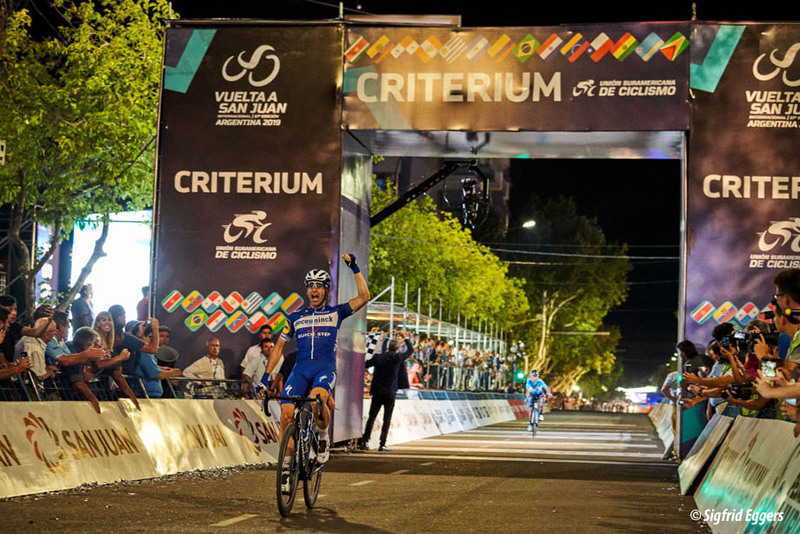 Home favorite Maximiliano Richeze gave local fans something to cheer about, after winning the 10km criterium held Saturday evening, less than twenty-four hours before the start of the 37th Vuelta a San Juan. "This victory in front of my public makes me happy. I raced here when I was young and it feels like home for me. After concluding last season with a win in Argentina, opening my 2019 account in my country gives me pride and joy," Max Richeze said. "The public was amazing, one of the best in the world, and I am grateful for this welcome. It was also nice to have my family here and my daughter, who got to see me win. We can’t wait to race on Sunday, we are motivated and hope to bring other good results for the team." Darwin Atapuma made the switch from UAE Team Emirates to Cofidis over the winter, a step down from WorldTour to ProContinental, but according to the Colombian it was the right move. "I hope to flourish again with this team", he says in an interview with velo.club-net. The 31-year-old Colombian raced for UAE for the last two seasons, but didn't add much to his palmarès: In the 2017 Tour de France he was second on stage 18, finishing on the Col d'Izoard and took the Combativity prize, but that was the hight point of the two years. As to his move to Cofidis, Atapuma said: "They did not have a climber for the really high mountains, so team boss Cédric Vasseur contacted my manager. I needed a new environment where I can launch my career again. We therefore quickly agreed." With the French ProContinental team, Atapuma hopes to find his form of the past: "I have had many health problems in recent years, but I am completely fit now. That is why I expect a lot from this season." What might that be? "My dream is to win a Tour stage. That is the big goal. I hope to be selected this year, but then I will have to perform. I will race the Vuelta a España, but I hope to be in France as well." Atapuma starts his season in the Tour of Oman on the 16th of February. 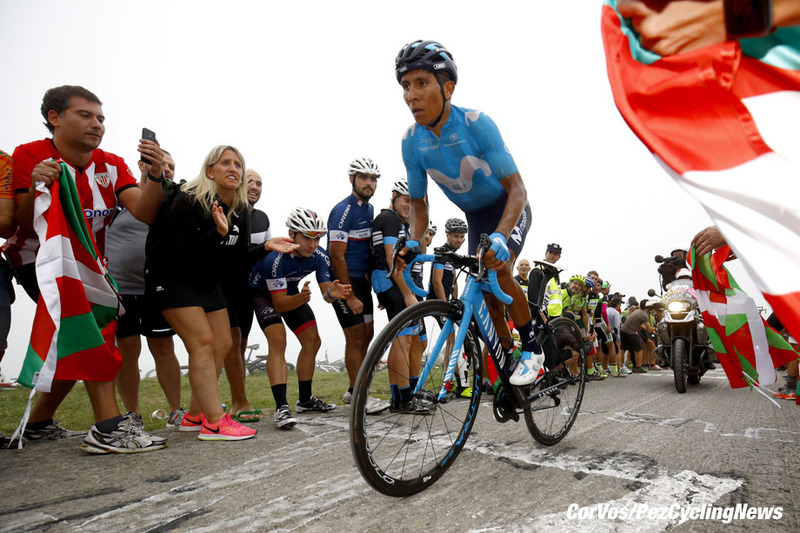 Movistar's Nairo Quintana will now be coached by former rider Michele Bartoli to try to get back to his former winning ways. Bartoli has confidence in the climber: "He still has a big engine", he told La Gazzetta dello Sport. In the 2013 Tour de France Quintana had his breakthrough with a 2nd place and the KOM jersey. Then he followed that up with a Giro d'Italia win in 2014 and the Vuelta a España in 2016, but no Tour win and seemed to lose his 'sparkle'. Quintana seems to perform less well with every year. Last year he was 10th in the Tour and 8th in la Vuelta. Together with his manager, Giuseppe Acquadro, they decided to approach former Classics winner, Michele Bartoli. Why has the Colombian taken this decision? "Since we cannot find the cause of his 'lower' performances," said Acquadro. "He suffered from allergy problems last season, which made him changeable. We finally decided to approach Michele with the team." Bartoli has been active as a cycling coach for years. He worked in the past at Lampre, and now has, among others, Quintana's compatriot Daniel Felipe Martinez under his wing. He was also the coach of Egan Bernal for a while. Bartoli does not want to give away too much about his new pupil, but he still manages to believe in his qualities. "I saw last year that he always rode better in the final week, indicating that he is still recovering well. That is essential for a Tour rider." According to La Gazzetta dello Sport, Bartoli and Quintana will work on, among other things, endurance and strength. 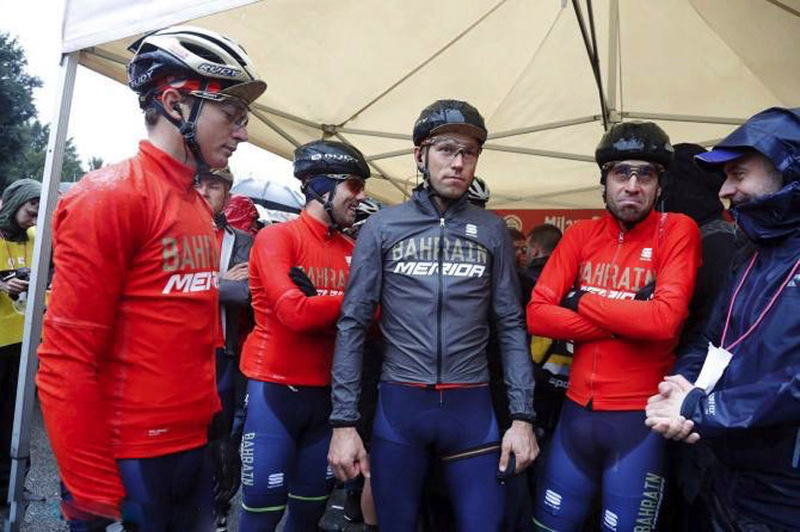 It took a while, but the Bahrain-Merida team has paid the outstanding salaries to the riders. Team manager Brent Copeland commented: "I can now guarantee that everyone has been paid. It was only an administrative delay, as I indicated from the beginning. In the end it only lasted two weeks longer." Copeland promised it wouldn't happen again: "The next payment is at the beginning of February. There are absolutely no problems anymore. We would also like to pay at the beginning of the month." There had been rumors and team-leader Vincenzo Nibali hinted as much at the start of the year: "They still have to settle that [payment problems], but if all goes well, we get the outstanding amounts at the end of the month." Kuurne-Brussels-Kuurne has two new climbs for the 2019 edition. The Volkegemberg (maximum 12%) and the Eikenmolen (maximum 12.5%) have been added to the course and will be the first two climbs of the day. The Wolvenberg has been removed from the race. Dylan Groenewegen took the victory in last year's Kuurne-Brussels-Kuurne in a sprint from what was left of the peloton. The Dutchman beat Arnaud Démare and Sonny Colbrelli. The 71st edition of Kuurne-Brussels-Kuurne will be held on Sunday the 3rd March 2019. Scott Sunderland is the new face at Flanders Classics, the organizers of six Flemish spring classics: Omloop Het Nieuwsblad, Gent-Wevelgem and the Tour of Flanders. 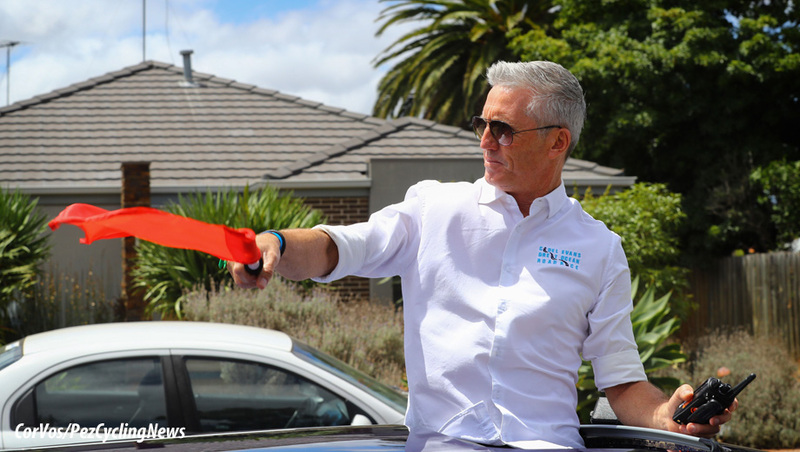 The appointment of the Australian ex-cyclist had been in the air for some time. "I am very proud and honored to be able to fulfill this role", said Sunderland in a video via social media. "Wouter Vandenhaute (founder of Flanders Classic) and Tomas Van den Spiegel (CEO) approached me earlier, when they wanted to open the Great War Remembrance Race to a wider audience, especially to the United States, Australia and the United Kingdom. and Canada". De Brabantse Pijl (17 April). The UCI has approved RCS Sport's application to organize the Giro di Sicilia in 2019. 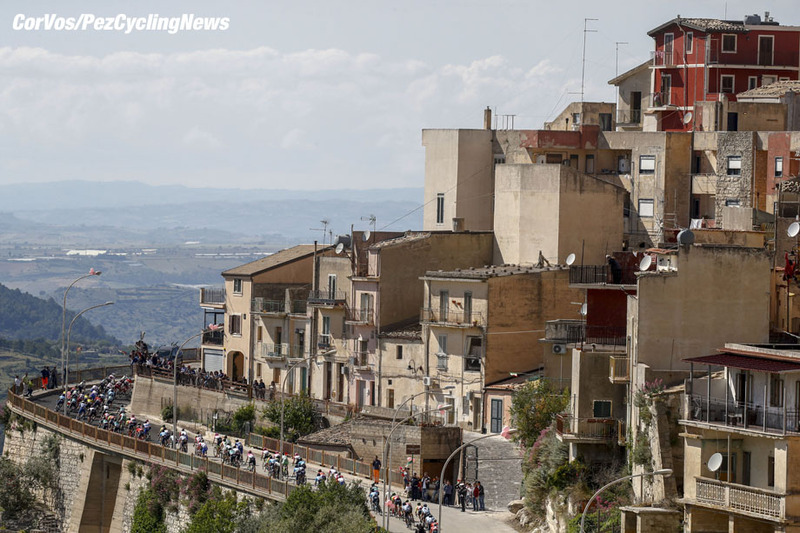 The Tour on the Italian Island of Sicily, which is going to have a 2.1 status on the UCI calendar, will take place from the 3rd to the 6th of April, according to Lega del Ciclismo. It was already known that a Sicilian stage race would be in the offing with the aim to attract the Giro d'Italia to the island more often. Which teams will be at the start or what the course will look like will be announced later this week. Giuseppe Saronni won the last Giro di Sicilia in 1977. 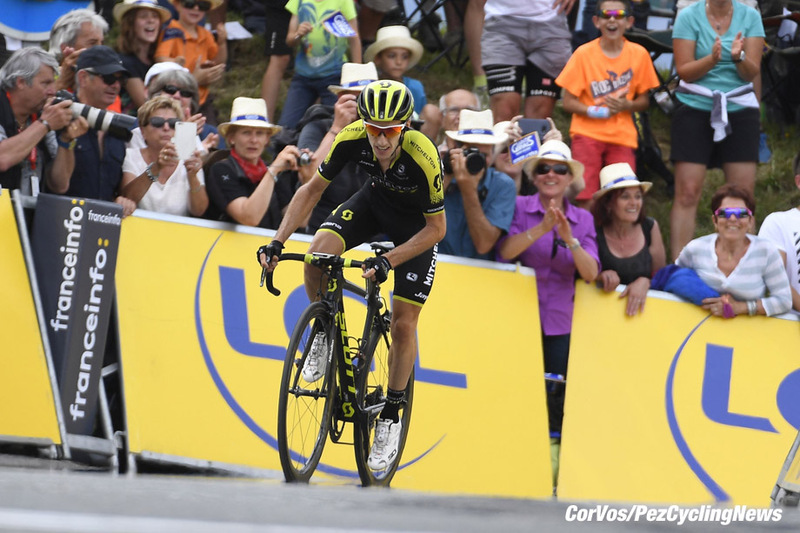 Adam Yates may return to the Tour de France in 2019. His program has yet to be announced by his Mitchelton-Scott team, but sports director Matt White has already intimated that the name of the Briton can be put on the starting list with a pencil. "We're sure he will not race in the Giro d'Italia, the Tour is more likely, but we're all going to announce this in the coming weeks." Last season, the British rider also focused on the Tour and finished in 29th place. Adam rode the Vuelta a España to helped his brother Simon take the final overall victory. RCS Sport has announced its selection of wild card teams that will participate at four out of its five UCI WorldTour races: Giro d’Italia, Strade Bianche NamedSport, Tirreno-Adriatico NamedSport and Milano-Sanremo NamedSport. Il Lombardia NamedSport wild cards will be announced later in the season, after evaluating all the results of the teams that have requested participation at the race. NIPPO - VINI FANTINI - FAIZANÈ (ITA). VITAL CONCEPT - B&B HOTELS (FRA). NERI SOTTOLI SELLE ITALIA KTM (ITA). Thanks to the Wild Cards given by RCS Sport the NIPPO Vini Fantini Faizanè team will be at the start of the 102° Giro d’Italia. The Wild Cards are now official also for the other important races of next March. Among them the Strade Bianche with the team that will ride this important classic for the fifth time in a row. The NIPPO Vini Fantini Faizanè will be at the start of the 102° Giro d’Italia. The pink race, the hardest race in the most beautiful place. 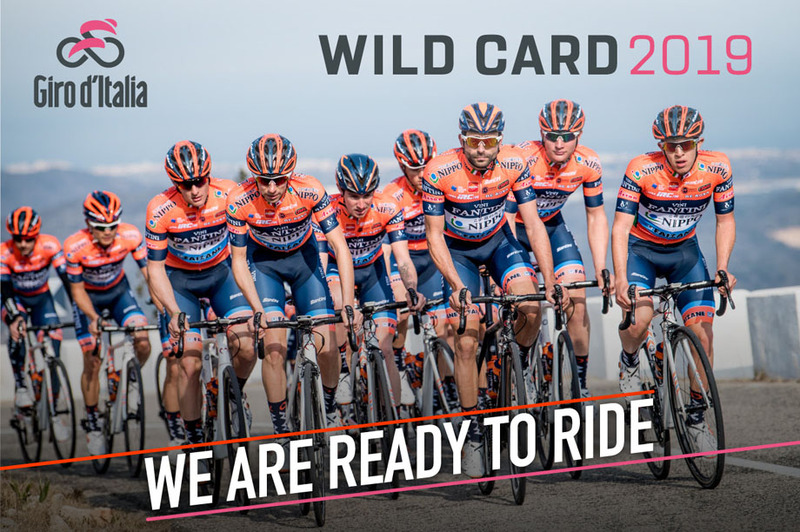 Thanks to the Wild Card received by RCS Sport the #OrangeBlue riders, from the 11th of May to the 2nd of June 2019 will be on the Italian roads with all their enthusiasm and their attitude, ready to honor the wild card received. The Italian-Italian-Japanese team will be also to the start of the Strade Bianche, where for the fifth year in a row the riders of the team will be competing in the wonderful scenery of Siena and on the white roads. Don't really know what to say about this, so I'll leave it to the Astana team to describe it: "The first ever Pro Cycling Rap, by Astana Pro Team! Talented riders, but even more talented rappers?"